Bring a fresh, modern look into your bathroom with this vanity. The good-looking beige tan marble counter and brown solid wood base make a big difference in your bathroom. Put a nice twist on your bathroom project with this classic piece from Wyndham Collection. 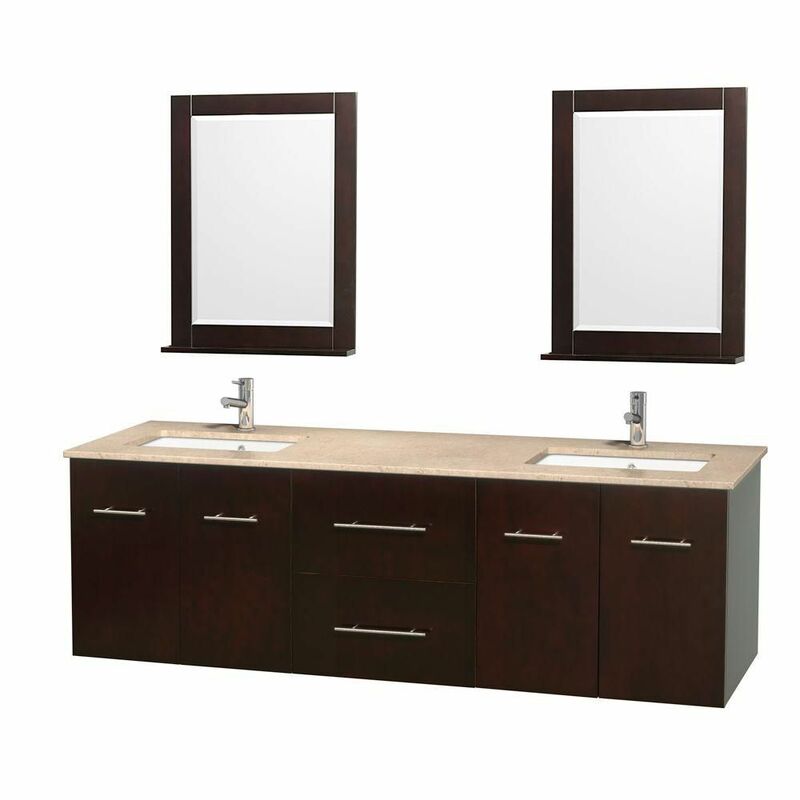 Centra 72-inch W 2-Drawer 4-Door Wall Mounted Vanity in Brown With Marble Top in Beige Tan, 2 Basins Bring a fresh, modern look into your bathroom with this vanity. The good-looking beige tan marble counter and brown solid wood base make a big difference in your bathroom. Put a nice twist on your bathroom project with this classic piece from Wyndham Collection. Centra 72-inch W 2-Drawer 4-Door Wall Mounted Vanity in Brown With Marble Top in Beige Tan, 2 Basins is rated 5.0 out of 5 by 1. Rated 5 out of 5 by love from Absolutely beautiful! Dark rich wood grain. Love the fact that it floats off the floor. We ins... Absolutely beautiful! Dark rich wood grain. Love the fact that it floats off the floor. We installed soft lighting underneath and it is stunning!